If your holiday decorating includes exterior lights, we have a few safety measures to keep in mind before you climb the ladder! Nothing is worse than hanging your lights then realizing they don’t work when you plug them in! 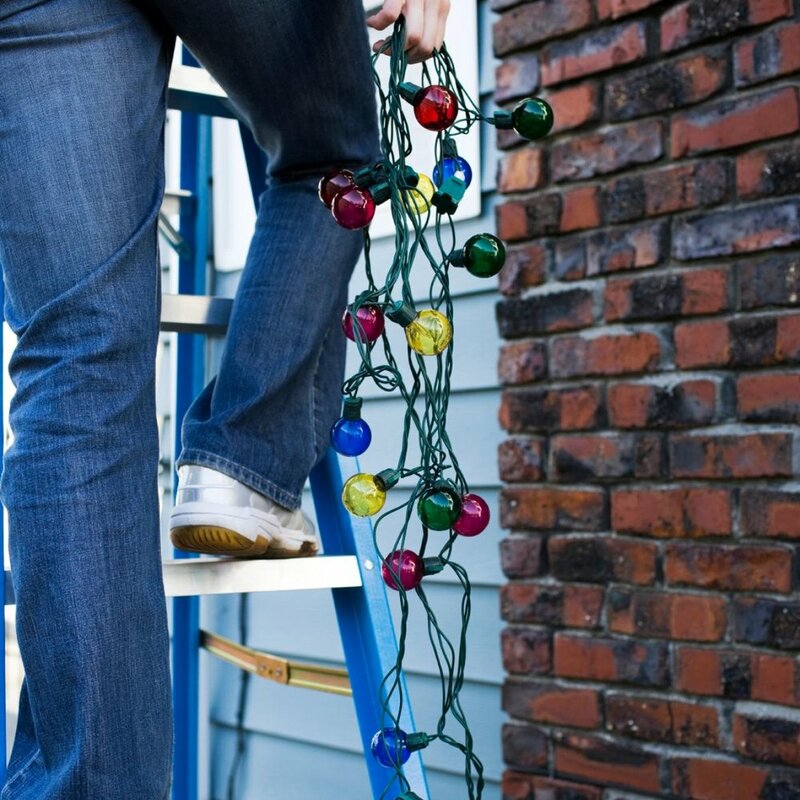 Test your ladder to make sure it is sturdy and tall enough for you to safely reach the areas you plan to hang decorations. Do not climb wet roofs or roofs with a steep pitch! Do NOT use nails, tacks, screws or staples. These can all permanently damage your roofing, gutters or siding. Instead, use insulated hooks which can reduce fire risks due to frayed wires. Each strand should be secure against the house with hooks in case of windy weather. Larger bulbs can overheat easily and potentially result in a fire. When hanging lights near or on a gutter, make sure there is nothing that could become a fire hazard. One of the most common causes of house fires is bulbs getting too close to dried out leaves. Interior lights are not designed to withstand weather! Set a timer so lights will turn off automatically after a certain period time or at a specific time. Do not pull lights down by the wire. In order to prevent damage to roofing, gutters or siding, you should climb the ladder and remove the strands from the hooks. Just as with hanging the lights, don’t climb on a wet roof or unsteady ladder. If there is snow or ice that wasn’t previously there, check for damage to shingles or gutters.